Company ILUKOS, s.r.o. works on market since 2005. Founder of company is Ing. Lubor Kožďál, who has been occupying with foundries since 1992. Impulse for establishment of own company was relatively considerable, demand after piece production of cast and effort to create conditions for their realisation. on waterfront of river Dyje in Břeclava. 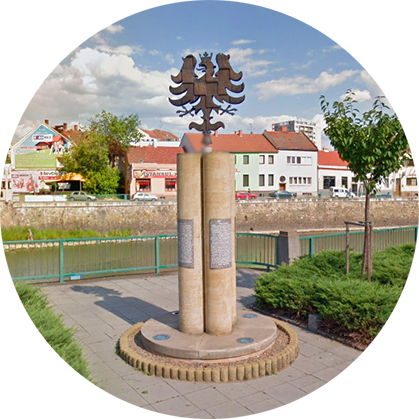 In our workshop, we made bronze plastic of Moravian Eagle for Břeclava city.